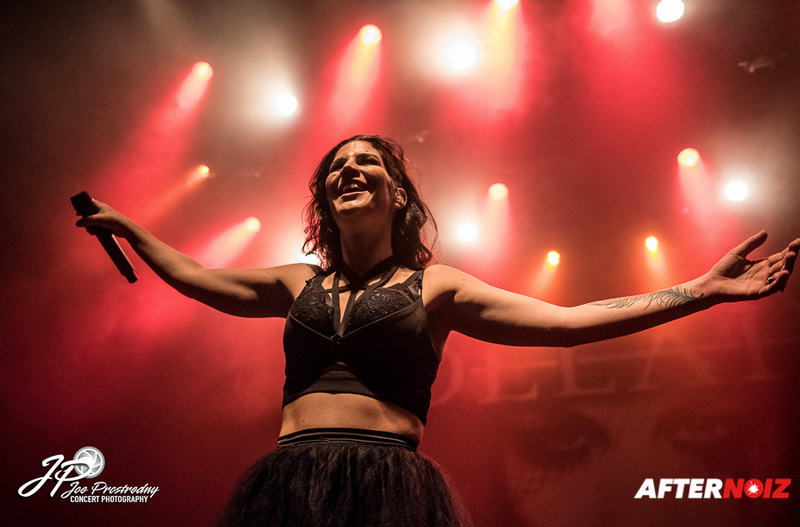 As many times as I’ve seen Delain… and that number is now up in the double digits… the show never gets old. 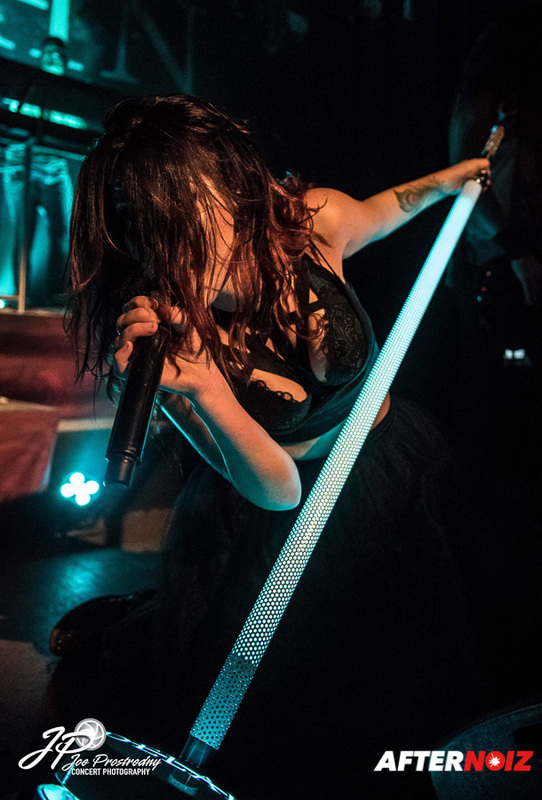 Every time I’ve seen them, Charlotte’s vocals have been stunning and the musical production has been great. It’s always an energetic and fun stage show as well. 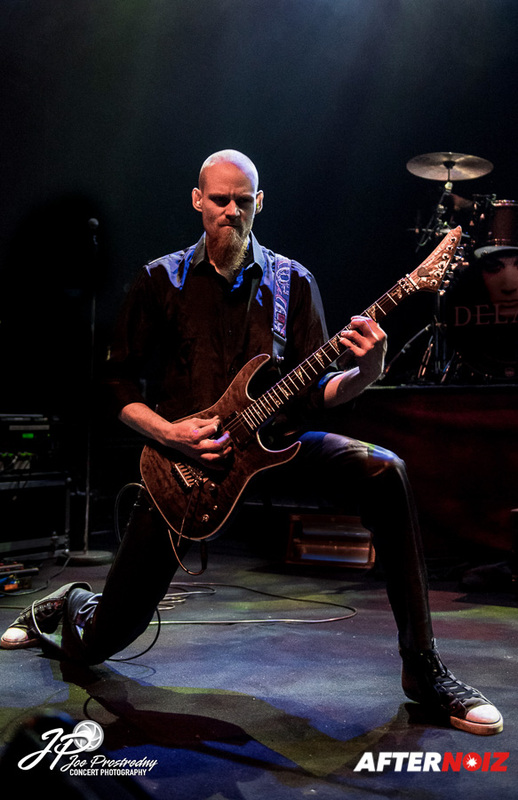 But being from North America, every time I’ve seen them (except for once in the Netherlands earlier this year) they have been a support act, as Delain has not done a headlining tour of the Americas yet. 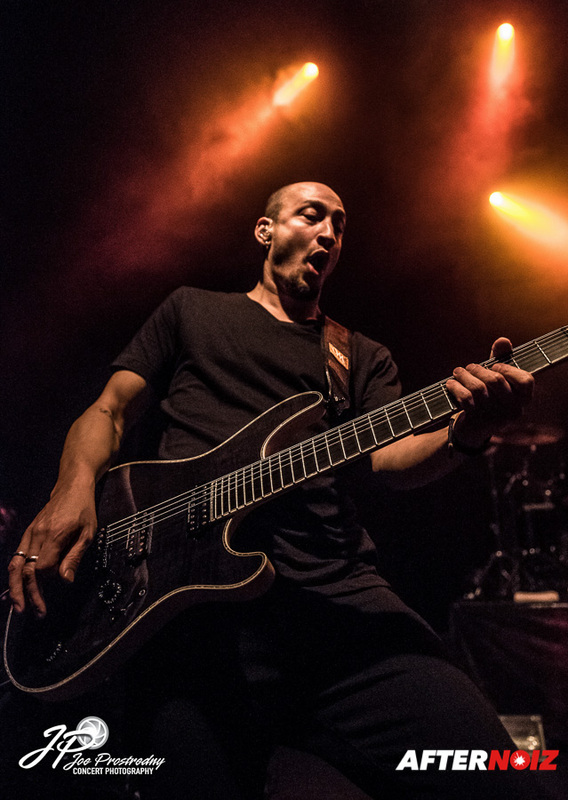 So, when I had the chance to see two headlining shows in France this past October, I jumped at the chance! 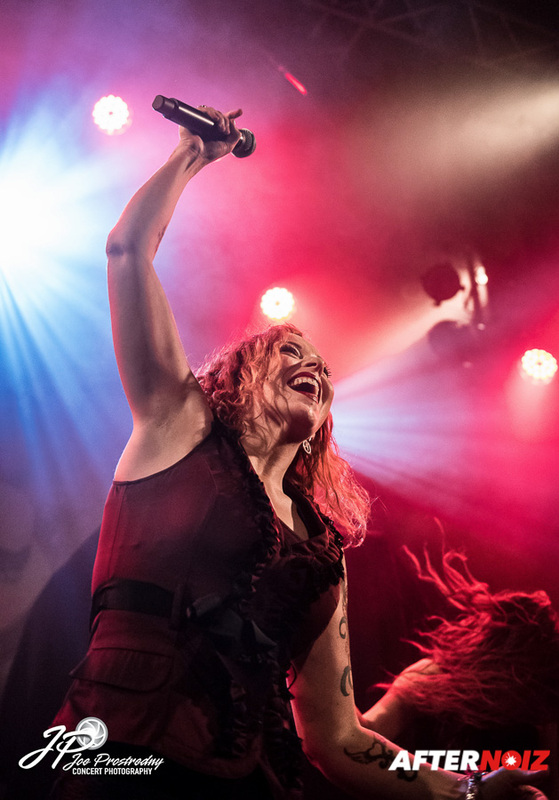 To make the experience even better, direct support was being provided by Anneke Van Giersbergen with The Gentle Storm. 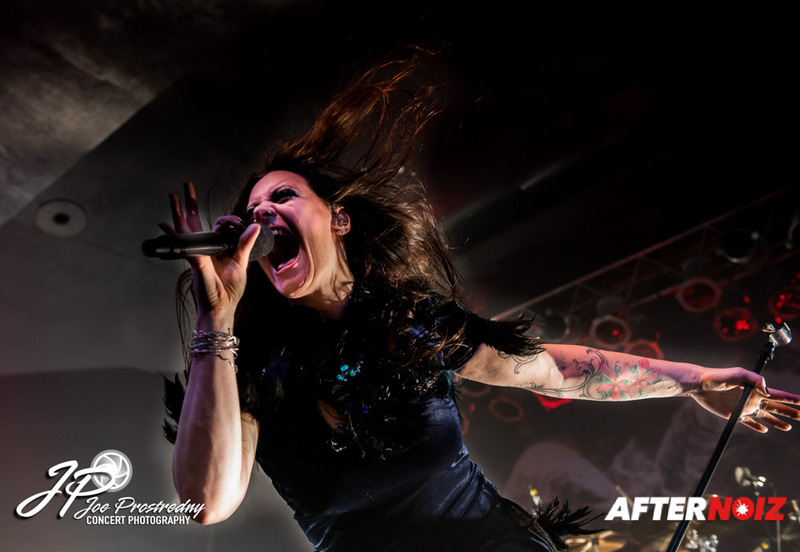 Anneke is one of those artists that is very well known in the European metal scene, despite the fact that all of her solo material since she left The Gathering many years ago, has not really been “metal”. 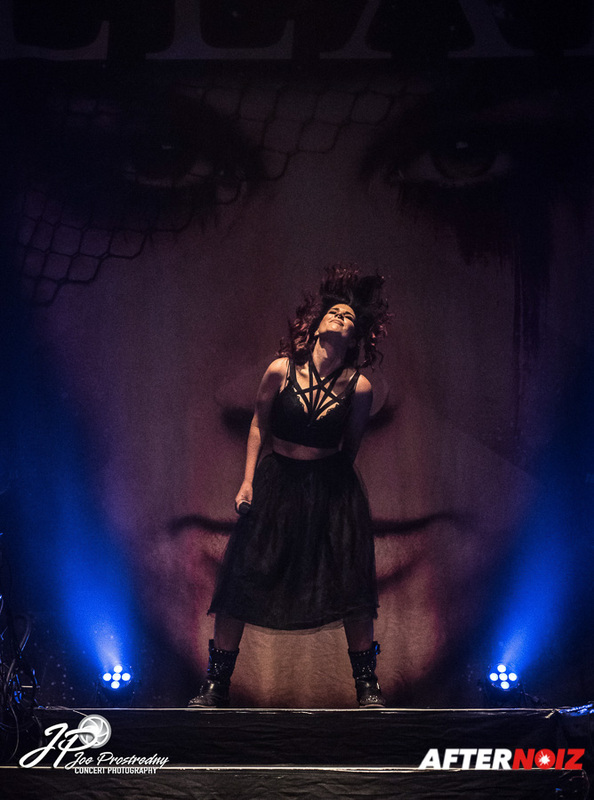 But her newest project, The Gentle Storm, marked a return to heavier music in a big way, so I was thrilled to get the chance to see her perform on this tour. 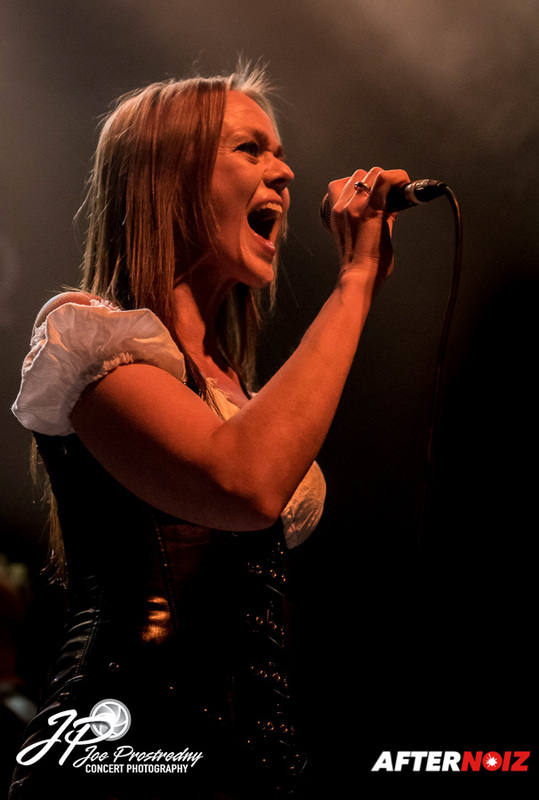 An additional support band, Amberian Dawn, was also on the bill. I’d heard of this band before, but never really listened to their music. But they have defiantly been on my list of bands I needed to get around to exploring. I was excited that I would get the chance on this tour. 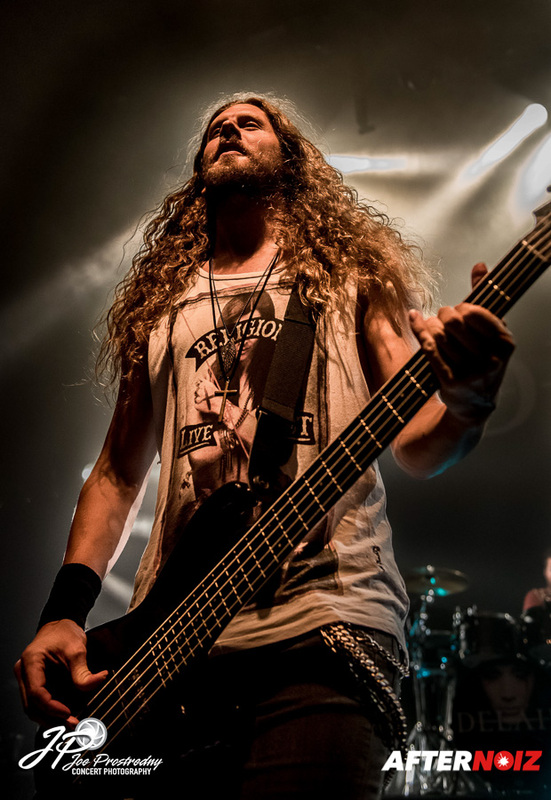 The show in Strasbourg was at La Laiterie, a relatively large club type venue with a large stage and good lighting. About half of the audience area was a flat floor with the back half of the venue having a series of risers so the people in the back could get a clearer view of the stage. 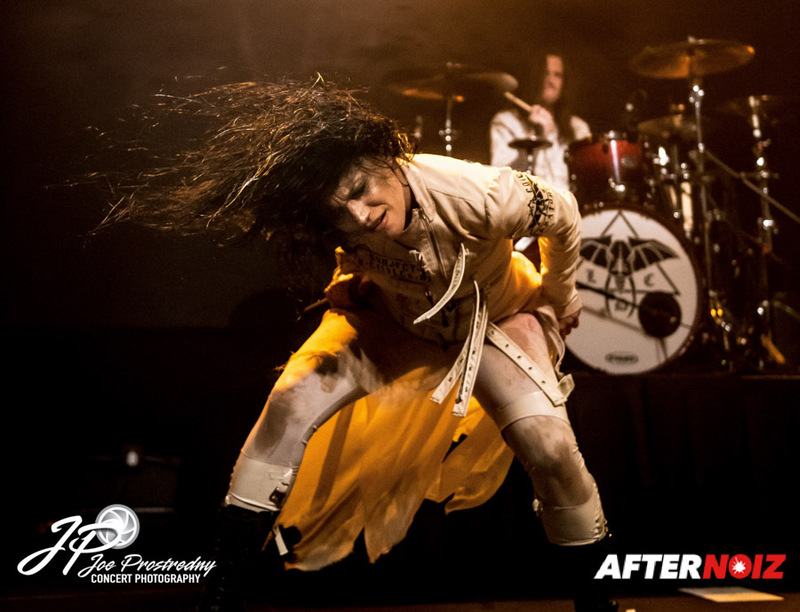 The show in Paris was Divan Du Monde; a smaller venue with a much tighter stage and darker lighting. The acoustics were good at both locations. Although I liked the larger stage at La Laiterie, there was certainly something to be said about the intimacy of Divan Du Monde. 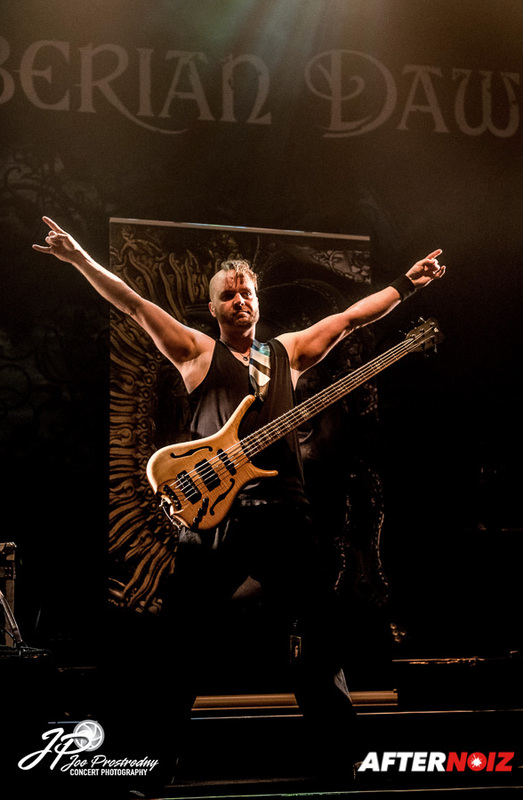 The show in Paris was sold out, and the show in Strasbourg was nearly so. I enjoyed the experience at both venues. 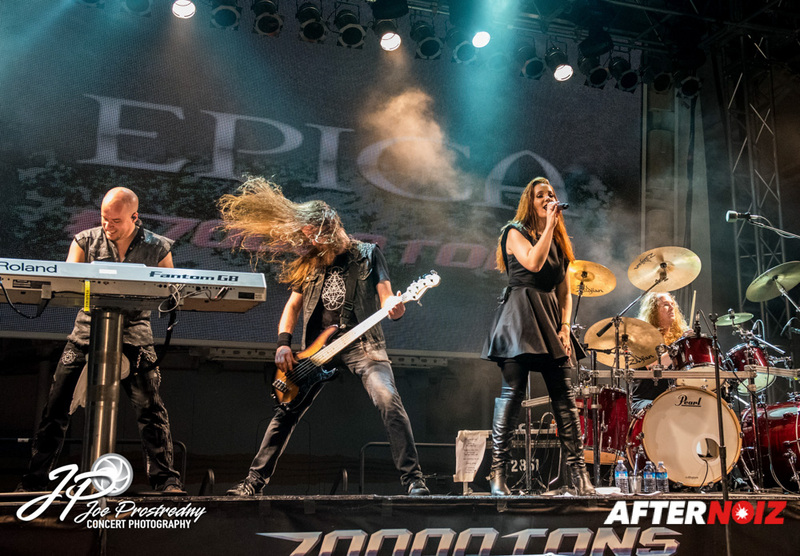 Amberian Dawn was the first band to hit the stage. Although I had never heard their music before, I really enjoyed their sets both nights. The played an 8 song set each night. 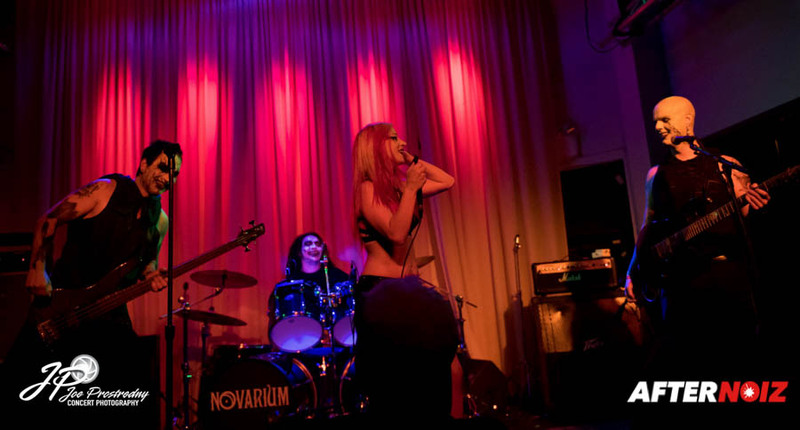 The band was energetic onstage and the band’s vocalist, Capri, was very interactive with the audience. 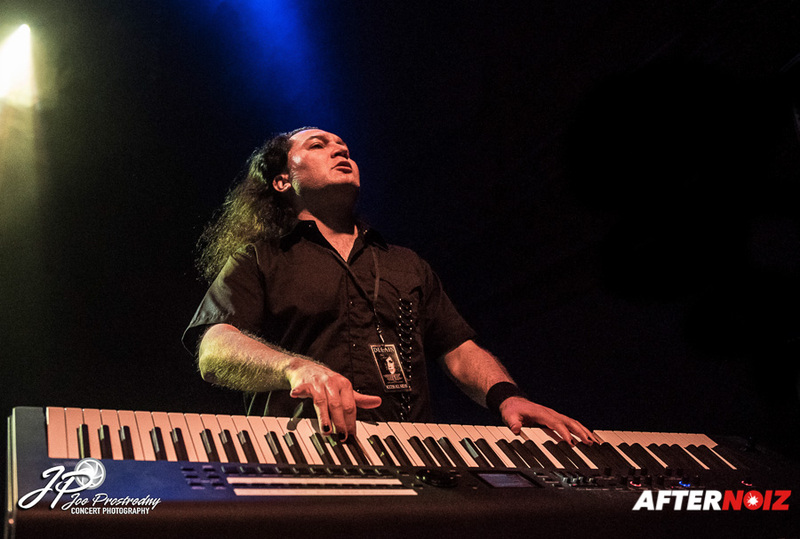 I especially liked the fact that their keyboardist, Tuomas, was positioned at the front of the stage with his keyboards sloped down toward the audience so you could actually see him play. 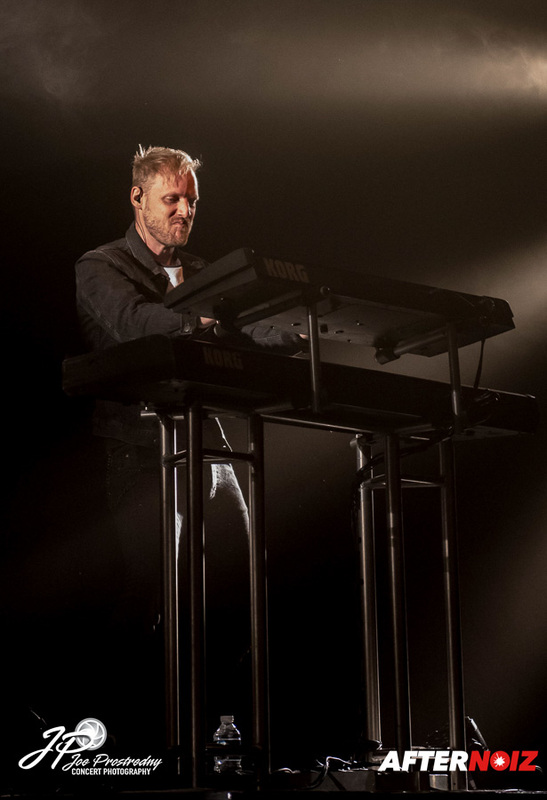 I always enjoy watching the musicians play their instruments during a show, but this is notoriously difficult with keyboard players as they are often hidden behind their keyboards toward the back of the stage. I hadn’t heard any of their recorded music yet, but I certainly loved what I was hearing live! 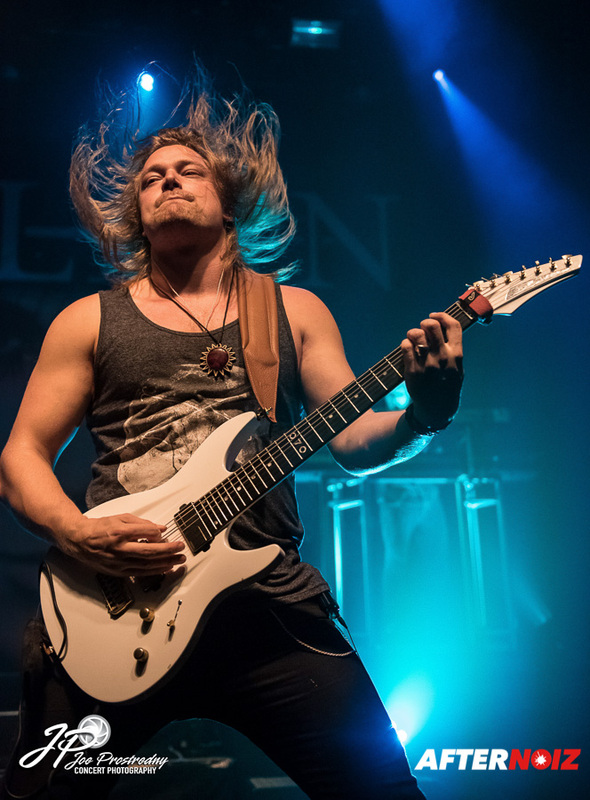 It’s always great if you “discover” a new band to follow, and I definitely left this tour as a new fan of Amberian Dawn! The Gentle Storm was next and the group hit the stage with boundless energy. 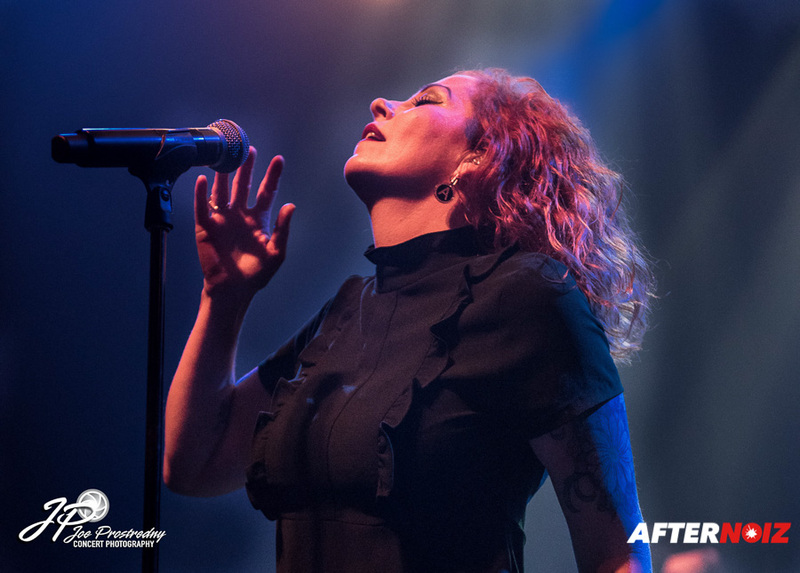 The band was fronted by the stunning Anneke Van Giersbergen with the rest of the touring band being made up of talented musicians from several other known bands. 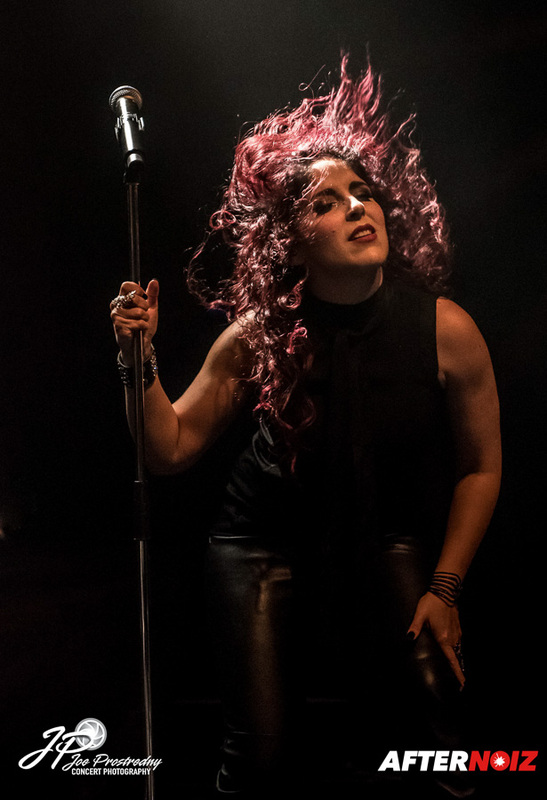 Back up vocals were provided by Marcela Bovio of Stream of Passion, Guitars by Merel Bechtold (Delain) and Ferry Duijsens (Anneke’s solo band), Bass by Johan van Stratum (Stream of Passion), and Drums by Ed Warby. Anneke’s vocals were just stunning as expected and she (as well as the rest of the band) head banged with great abandon throughout most of the set. 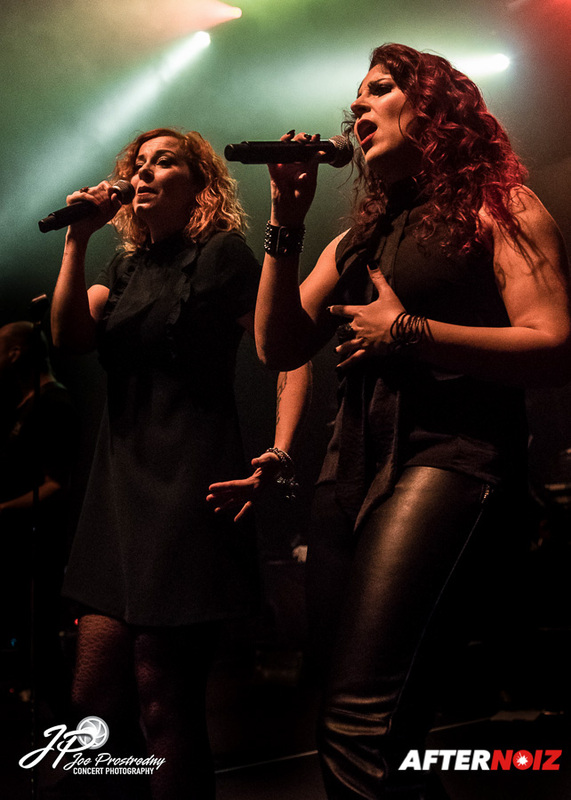 Marcela’s backing vocals (and co-lead on a few of the songs) added richness and depth. The music itself was grand and massive. It was just musical perfection. The band played the same eight song set every night. I was a bit surprised that only half of the songs, “Heart of Amsterdam”, “Brightest Light”, “The Storm”, and “Shores of India” were from The Gentle Storm album, “The Diary”. 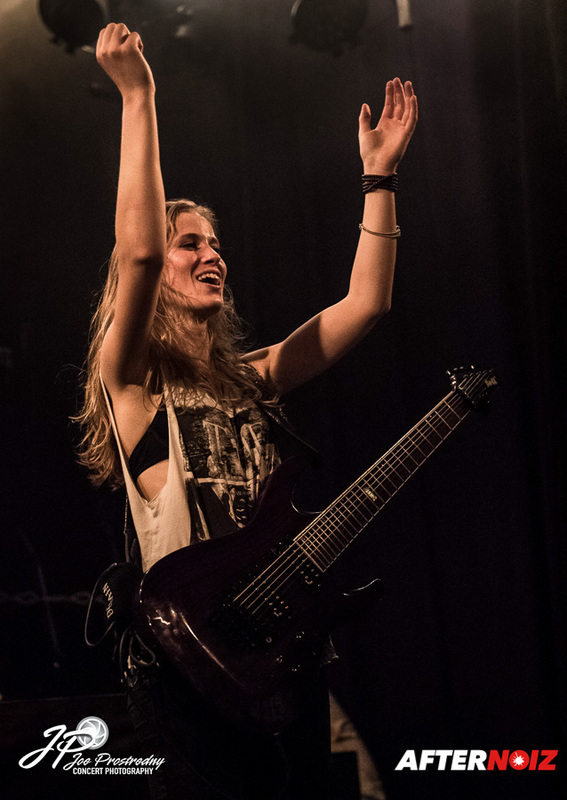 The reminder were from other eras of Anneke’s career including “Witnesses” from her solo career, “Fall Out” ( a Devin Townsend cover), and two songs from The Gathering: “Eleanor” and “Strange Machines”. I thought this was a little odd given the show was billed as The Gentle Storm… but Anneke’s voice is so phenomenal, I could listen to her sing commercials for an hour and still go away happy. It was a fantastic (but short) show, and go away happy I did! 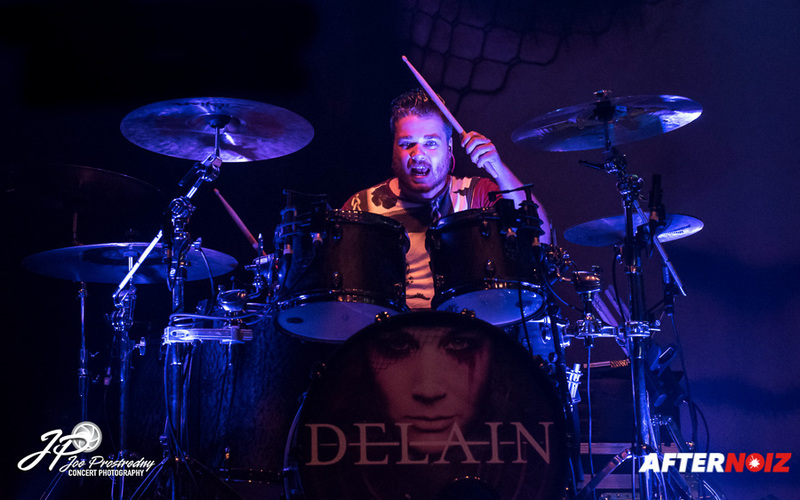 After a brief intermission, it was finally time for Delain. 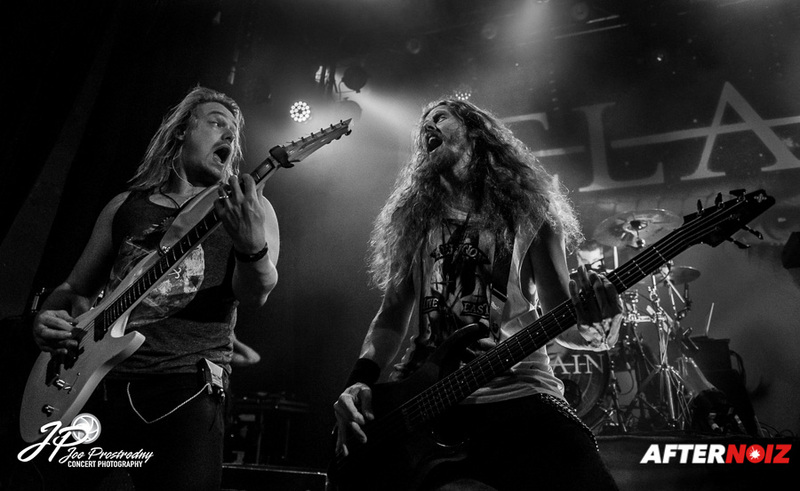 They took the stage with their newly announced 6 piece lineup with the dual guitars of Merel Bechtold and Timo Somers. 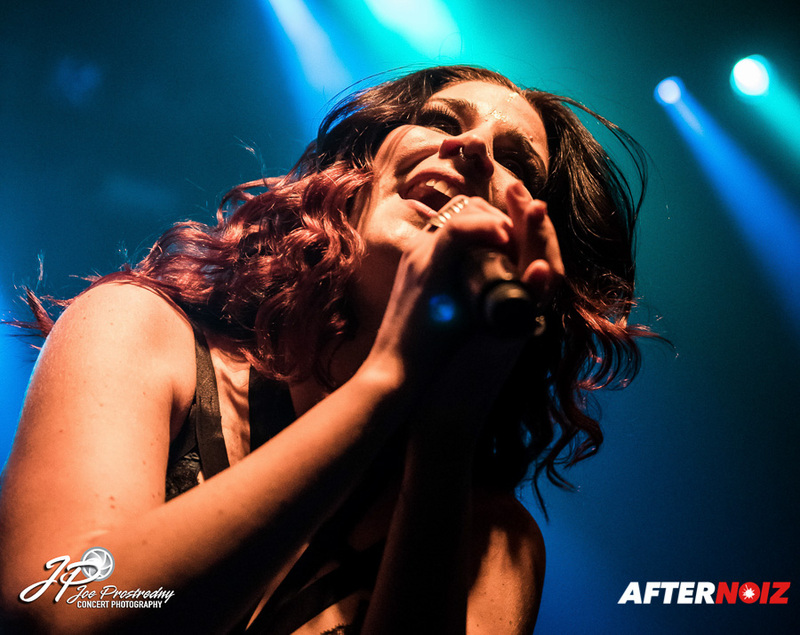 Although only recently announced as an official member of Delain, Merel has been touring on and off with Delain on their European shows for over a year. 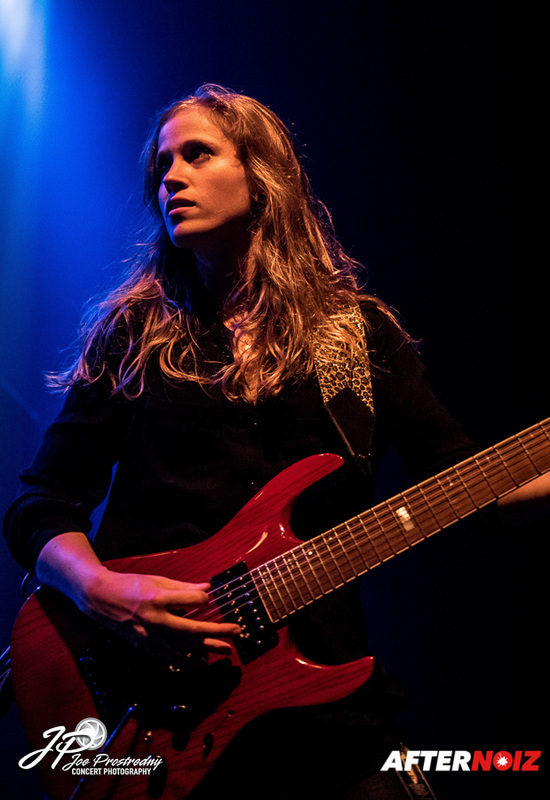 The rest of the classic lineup included Otto on bass, Ruben on drums, Martijn on keyboards, and the stunning Charlotte on vocals. 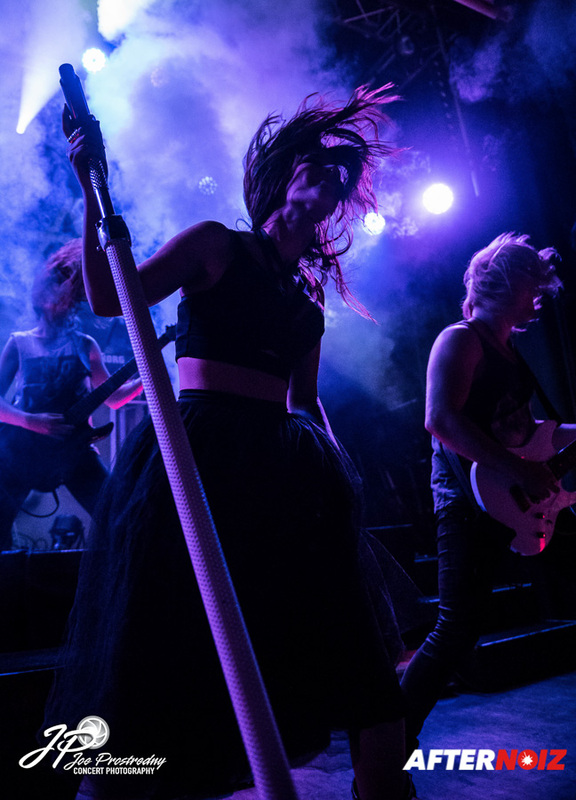 I’ve published reviews of live Delain shows multiple times in the past and I’m really running out of adjectives to describe how awesome their shows really are. In addition to the vocals and music being fantastic, the band is always very visually entertaining which just adds a huge other dimension to the show. One second they look like serious rock stars… and the next second they are making goofy faces and laughing at one another. 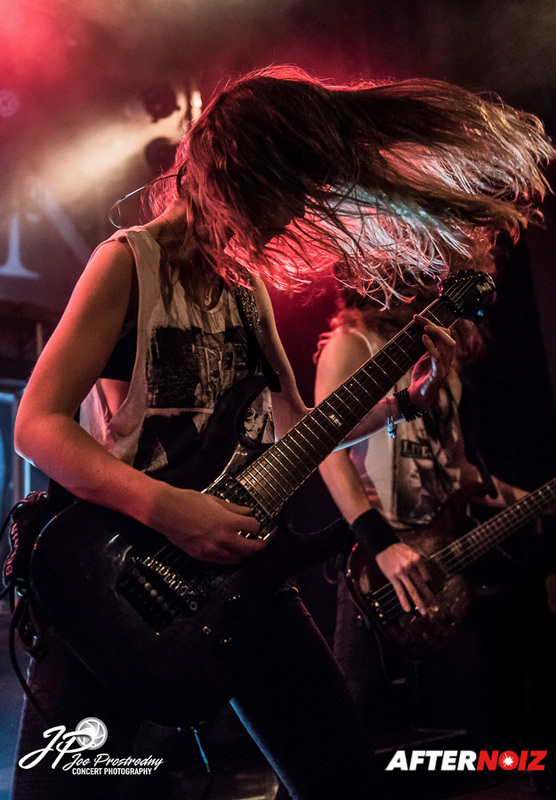 The jumping and headbanging are constant and the audience feeds off of this energy and responds in kind. All in all, I had an awesome time both nights! 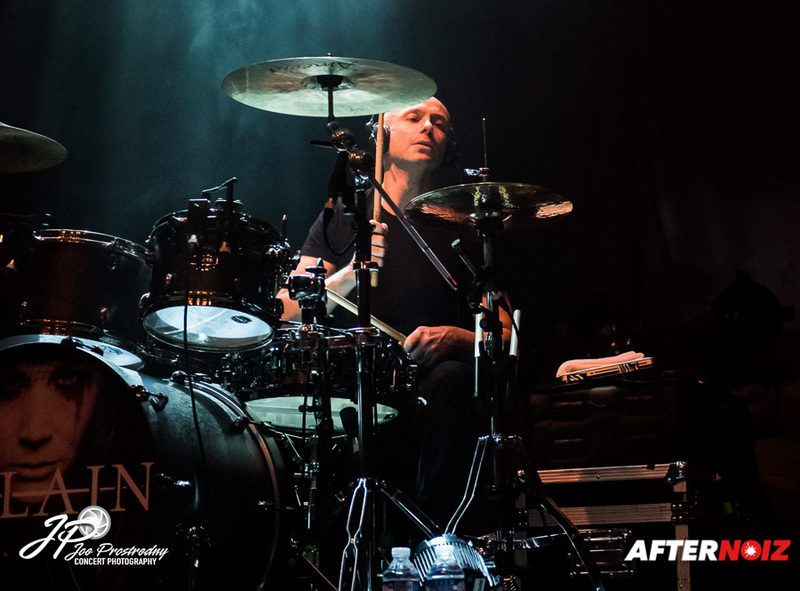 This tour is now over and Delain is now heading back to the studio to continue work on their upcoming album. 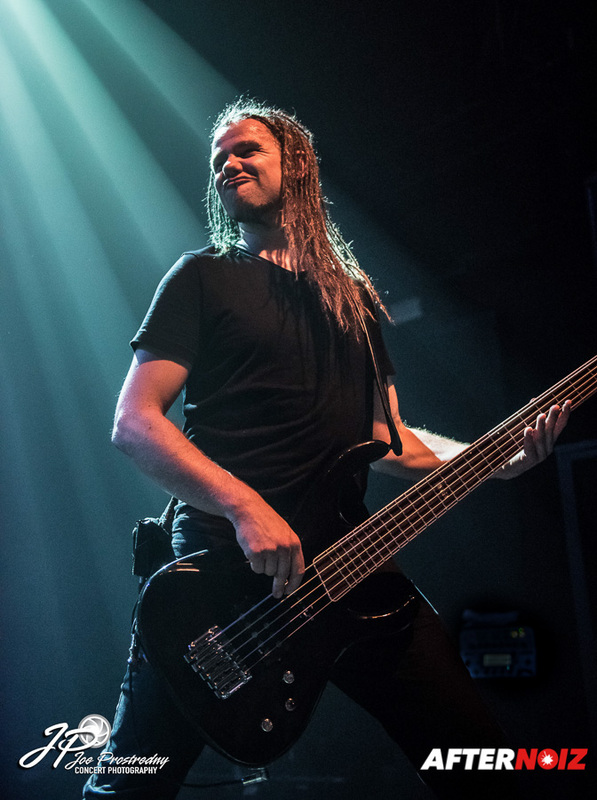 But they have big touring plans for 2016 including one of their “special shows” called “Sucker Punch” in January, a spot on the 70,000 Tons of Metal Cruise in February, and a North American support tour with Nightwish… and that’s just in the first 3 months! Their new album is due to be released in mid 2016, and I’m sure more headlining tours will follow. I can’t wait to see them again!! !